What it claims it does: Deep cleans and gently exfoliates the dull surface layers of your skin. The original natural home treatment, developed by a dermatologist, that will actually dry up acne pimples, rinse away blackheads and even help shrink enlarged pores. 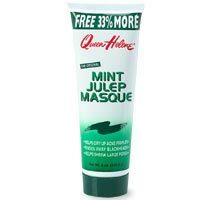 Simply apply Mint Julep Masque to your face and neck. Within minutes it firms and hardens, as its suction action draws out waste matter from the pores. Minutes later, rinse the masque away with warm water and a washcloth. After the masque is removed your skin will feel clean...refreshed and smooth. Even for people who are fortunately free of skin problems, Mint Julep Masque is a refreshing facial treatment that relaxes tired muscles and eases tension lines on the face and neck. What I like about the product: It's a great mask for a cheap price. For less than $4, you're doing your face a big favor (mainly if your oily/combination/acne-prone). Your face really feels refreshed and clean afterwards. It really dries up my pimple like what it claim it does. See, I get these monsterous pimples once in a while. They're red and angry, but after using this, my pimples have been reduced in size. Please don't expect a miracle that it'll completely vanish it, but by using this, I found that it reduces my chances of getting acne scars where the blemish is and redness. Also, you will definitely feel your pores tightening after slapping this on. I only use this once or twice a week, depending on how my skin feels. If I know there's a pimple waiting to happen, I slather this thing on my face and I know it'll work its magic. The blackheads in my nose are also gone thanks to this product. It's very easy to use. Put it on after cleansing your face, and then leave it on for a few minutes while doing other things and rinse it after the mask hardens. And you're left with a soft, smooth, and glowing face. What I didn't like about the product: Because the masque comes in a tube, sometimes I have difficulties getting the product out. The masque smells like toothpaste, so sometimes I feel I have toothpaste on my face. I probably wouldn't recommend this for people with dry skin since it might get too drying. The packaging could be better, and it can make people iffy because of its appearance. Since the mask is minty, people with sensitive skin might not like the tingling sensation or how it feels when the mask hardens (your pores will feel really tight). I didn't really experience any burning sensation after using this product, but I've read that some people have. 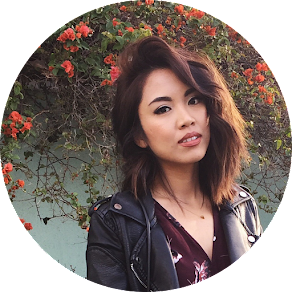 Overall: This product has become a staple item in my skin routine. It definitely delivers great results and very affordable. this sounds promising, but i'm gonna have to hold back on account of my current situation. gahhh. my face needs help. hehe. love this stuff. it also comes in a tub. Your 5 Must Have Morning Items. I second your review. This is a great product. I have oily skin and this works very well for me. I have to agree with you that it's a great mask, especially for the price! i swear ur a mind reader! LOL, i was just looking at this product at CVS last week and was debating on whether or not to get it. but thanks girl, now i know i should give it a try! hmmm i've been wanting to get into wearing face masks and things beyond the basic wash, tone and moisturize...at $4 i'm definitely going to have to try! thanks for the review! thanks for reminding me about this product. i need a mask, im gonna go get it. it really is a great price. I am really into considering of buying it seeing that I have yucky pores on my nose. mayaari: thanks for the heads up. will definitely keep that in mind. christy: i'm working on my tag. 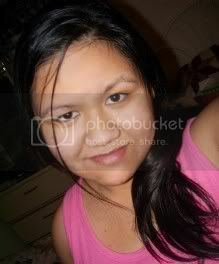 imee: haha. weiird. great minds think alike then I guess? anonymous: i've found it in CVS and rite aid. Do you know any stores that sell this? I wanna try looking it up in-store first be4 buying it online. erica: I got mine at CVS. I also saw this at those beauty supply stores. I think sally might have it as well, but I'm not too sure.